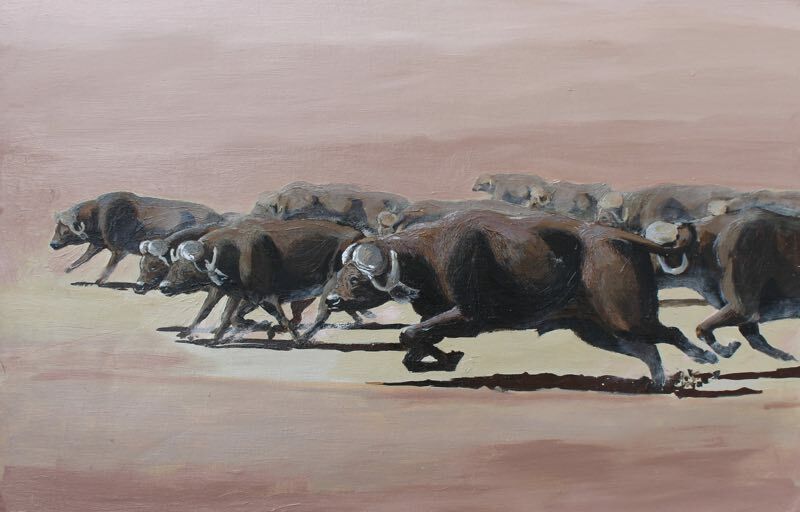 African buffalo painting. 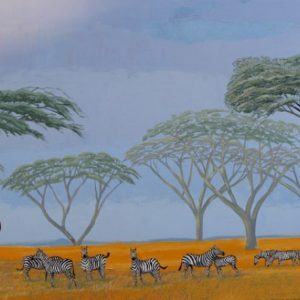 Other African wildlife & landscape paintings here. African Cape Buffalo is widely distributed through East and South Africa. 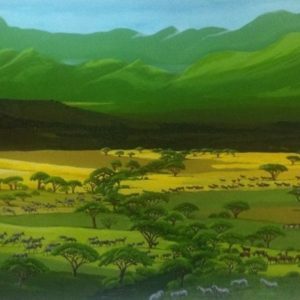 They need water daily so prefer swampy regions or forested areas. Often see in large herds, they have a reputation for being a dangerous animal; if wounded, they have been known to double back and wait for their pursuer. 91.3 x 61 cm (36 x 24 inches). 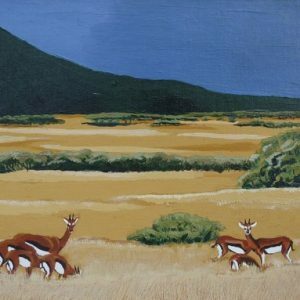 Acrylic on board. Framed.